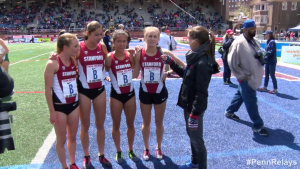 – Villanova coach Gina Procaccio, talking after her Wildcats defended their women’s DMR crown at Penn Relays by upsetting Elise Cranny and Stanford. Rudy Chapa’s 10,000 meters HSR @ Drake Relays (28:32) is 39 years strong! Fearing racism charge, Stockholm Marathon reverses course and will give prize money to an east african if they win the race. Ajee Wilson showed why she's America's best hope for distance gold in Beijing, Kirani James impressed, Lashawn Merritt didn't, Aleec Harris remained undefeated, Bershawn Jackson is back, Derek Drouin still likes Drake, and Loyola of Illinois pulled the upset in the 4x800. 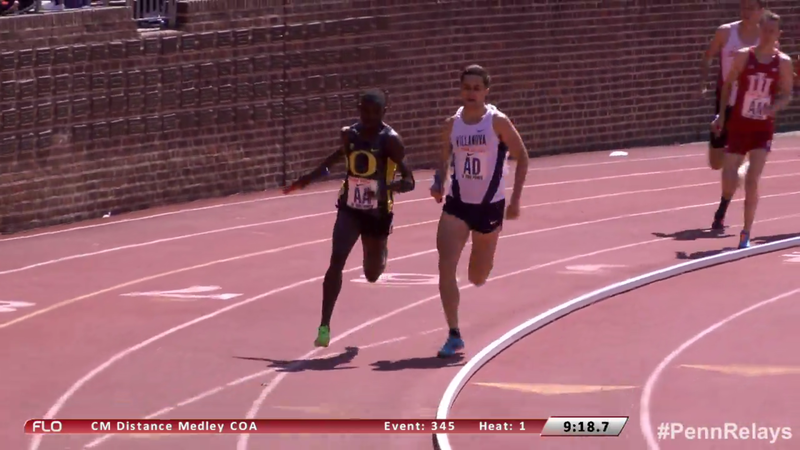 Saturday Leo Manzano and Matt Centrowitz square off in the mile. 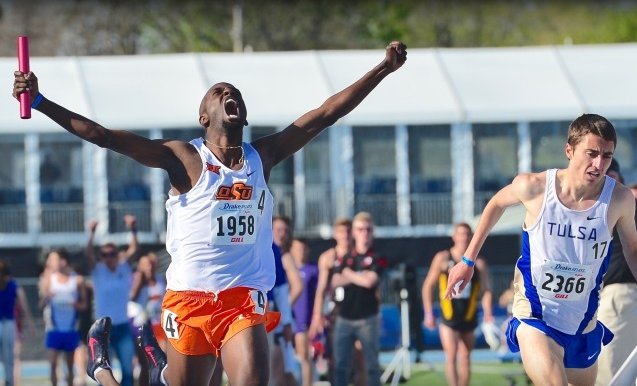 Thursday: Kirubel Erassa Gets The Job Done As OK State Wins 4 X 1,600s At Drake The Cowboys ran 16:19.47 while the women won in a meet record of 18:58.11. 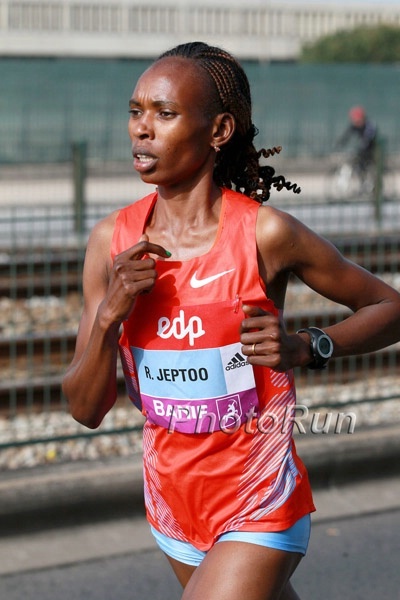 LRC Women’s Preview: “Fantastic Four” Lead A Great Field Former champs Mary Keitany, Priscah Jeptoo and Edna Kiplagat and HM WR holder Florence Kiplagat take on Dubai champ Aselefech Mergia and 2014 World #1, Tirfi Tsegaye. LRC Men’s Preview: Kipsang, Kimetto And Kipchoge Lead The Greatest Marathon Field Ever (Again) This race is LOADED. The winners of last fall’s three major marathons – world record holder Dennis Kimetto (Berlin), Eliud Kipchoge (Chicago) and Wilson Kipsang (NYC) – four sub-2:04 men and eight sub-2:05 men (both the most ever in one race). Plus 2:03 guys Geoffrey and Emmanuel Mutai. Wilson Kipsang, Dennis Kimetto And Geoffrey Mutai Are All Great Friends Despite Being Rivals Kipsang’s protege and neighbor, Kimetto, broke his WR but all is good. Toni Reavis Thinks Sports Is Overly Obsessed With Rabbits We 100% agree. LRC 9 Takeaways From The 2015 Boston Marathon – Desi And Ritz Lead Late, One Of Meb’s Gutsiest Races Ever, Teg Doesn’t Like The Marathon + America’s Next Great Marathon Star? 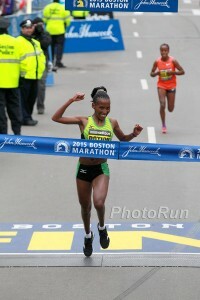 (updated) It was a tremendous foot race in Boston with some American drama before Caroline Rotich pulled the huge upset and Desisa showed he is boss. Caroline Rotich Outkicks Dibaba, Desisa Is Too Good, As Desi, Ritz, And Meb Lead For Much Of Race NYTimes recap. I have a Whole New Respect for Desi, WTF happend to Shalane??? Rupp is the only American-born runner capable of winning a WMM, and AlSal won’t let him run one. That’s a problem. 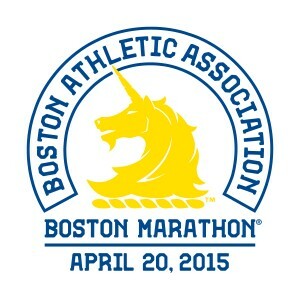 MB: Official 2015 Boston Marathon Live Discussion Thread Read the live blow-by-blow recap. LRC Fan Predictions Who Does The LetsRun Nation Think Will Emerge On Top? LRC Centro With A Hat On Backwards Outkicks Manzano, Heather Kampf Repeats At Grand Blue Road Mile Results and video. A great way to kick off the pros at the Drake Relays. Many will return for the track mile on Saturday. The big distance matchup is Brenda Martinez vs. Ajee Wilson at 800 on Friday. Article On Caroline Rotich Being Based In Santa Fe, NM Some of the kids from the local running clinic watched her race at school on a cell phone and were “jumping up and down and whooping and hollering” when she won.